Much like Quantum Leap (which I also recently finished re-watching) Ghost Whisperer's strength lies in its exploration of human relationships rather than in its genre trappings (here horror, science fiction in Quantum Leap). That is, under the show's aesthetics lies a series of melancholic stories about misunderstandings, revenge, and the inability to "set things right" after death. Despite this plus side, Ghost Whisperer pales in comparison with the bulk of quality television drama available. Some of the effects are surprisingly good, but the series is never scary (in fact Melinda's continual teacherly cries of "stop it!" dispel any sense of threat). Jennifer Love Hewitt is fine in her role as the lead protagonist, although the character is so righteous and sweet that she ultimately comes across as infallible. That trait is amplified by the continual flourishing of her ill-staffed and customer-less antiques business: even that survives unscathed. In consolation, the role cannot have been perfect to play: I presume the amount of crying JLH had to do on the show really took its toll after a awhile. The series is also hampered by its "ghost of the week" structure, which grows repetitive very quickly. The series is much more compelling when following a running arc, but those arcs are mishandled; they are usually relegated to the final two episodes of any season, and so fall flat. The "Jim" arc running through season 4 is much stronger as a hook, although that story-line is resolved early, leaving the last few episodes of the season floundering. Other established threads such as "the town under the town" or the "missing shadow" season 3 cliffhanger are ignored. Perhaps I am just jealous of Prof. Payne; a character who leaves the series to embark on a seemingly endless sabbatical and is never heard of again. Season 5 is hampered by the presence of an annoying child, some garbage about "shadows and shinies", and a climax so unthrilling that I was sure that there must be another disc in the box-set (...there wasn't). The writing is generally weak: it is hard to engage with the plotlines of any particular mystery story when the audience is four minutes ahead of the protagonists and the ghosts seem to be purposefully unhelpful in solving their own problems. 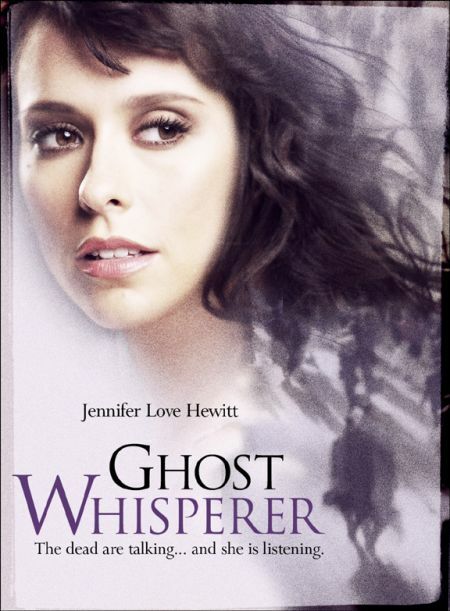 In sum, Ghost Whisperer flounders in its own mediocrity. It is not all bad, but it just is not incredibly good. Give that there are so many great TV series available, set this one low on your priority list.